Mr. Poneman is a member of the URA Board of Trustees and is president and chief executive officer of Centrus Energy Corp. He also serves on the company’s board of directors. 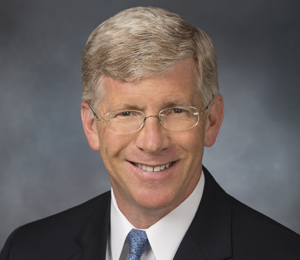 From 2009 to 2014, Mr. Poneman was the Deputy Secretary of Energy, also serving as the chief operating officer of the U.S. Department of Energy. His responsibilities spanned the range of U.S. energy policies and programs – hydrocarbons, renewables, nuclear, and efficiency – including cyber security, project management, national security, and international cooperation. He was also responsible for the Department’s efforts on resilience and emergency response, in cases ranging from Fukushima to Hurricane Sandy. Between April 23, 2013, and May 21, 2013, Mr. Poneman served as Acting Secretary of Energy.